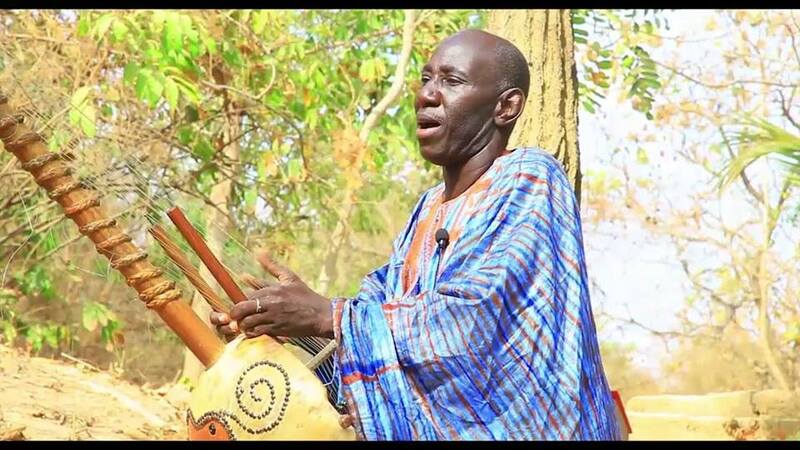 A foremost Mandinka historian-musician Jali Alagie Mbye has died, family sources have told The Fatu Network. He was 53. The Tallinding based legendary Jali (Griot) died on Wednesday after a brief illness. Who is Jali Alagi Mbye? According a Swedish website Proline Sweden, Alagi Mbye (also spelled M�Bye) was probably born in Jan 1965, but you can never be sure. (He says his mother didn�t have a calendar.) He comes from a griot (jali) family and his father, grandfather and uncles were well known praise singers, history reciters and kora players, many generations back. Alagi was sent to study kora with great Gambian masters at very early age, including the legendary Jali Nyama Suso. In the late 1980s some Norwegian musicians came to Gambia and asked Jali Nyama which kora player he would recommend to come and play in Norway, and he named Alagi Mbye as one of the most talented young players. Alagi made his first of many trips to Scandinavia. At Eo�len, Alagi met many Scandinavian enthusiasts who invited him to return to Norway and Sweden, where he has performed once or twice a year since 1990. He played with Knut Reiersrud and was a guest on Reiersrud�s CD�s Tramp. In Sweden Mats Ed�n and Groupa were his first contacts and he played and performed concerts with the group in the early 90�s. Swedish musician Ale M�ller was fascinated by Alagi�s abilities and his �totalness� in music and invited him to be a member of the Stockholm Folk Big Band project 1998-99. The Big Band was composed of 14 musicians representing 11 countries all over the world. Alagi was the only one not resident in Sweden. Alagi�s greatest concern is the future of Gambian traditional music. Many places now have no griot heritage to care for the continuity of the tradition. The radio and TV don�t expose the traditional music in Gambia, and the newspapers only report on pop, rap, reggae and hip hop stars. 1999-2000 he got the opportunity to make a solo album in Sweden, a recording of pure kora and songs in the tradition. Yiribameans The Big Tree, and symbolizes the roots, stem, branches and leaves of the West African griot heritage. All songs are in the Mandinka language. His Swedish friends have helped him to realize his longtime dream of a music school for Gambian children, part of Alagi�s efforts to preserve the tradition of his homeland. Even non-griot children are welcomed to study there. Alagi is a member of the International Society of Music Education (ISME) and has taken part in their conferences in Pretoria and Amsterdam. The Musicians� Union of The Gambia (MUSIGAM) regrets to announce the demise of one of The Gambia�s greatest and finest musicians, master of the Kora, composer and actor, Jali Alhaji Mbye on 12th December, 2018. He died at the Edward Francis Small Teaching Hospital in Banjul on Wednesday, after a brief illness. The veteran prior to his demise is the Vice President presenting Cultural and Traditional artistes in executive board of MUSIGAM. Jali Alagie was born in Jarra Barrow Kunda to Sutaring Mbye and Aja Jabou Jange. He went to Barrow Kunda Primary School and later Mansakonko Junior Secondary School but went in search of his tradition and learnt playing the Kora then started research on Manding history travelling across West Africa to gather facts about Manding. Then he travelled abroad to Norway and Sweden where he stayed for a while before returning back to The Gambia. Alagie lectured traditional music at various universities across Scandinavia and built a school teaching Kora to lots of people to boost the Mandinka culture. Jali Mbaye is currently producing the famous history of the Manding Empire on Gambia Radio and Television Service with Alh Sarjo Barrow. His demise has closed another great historical manuscript containing important records of our past as people from the great ancient Manding Empire. Alagi Mbye (also spelled M�Bye) was probably born in Jan 1965, but you can never be sure. (He says his mother didn�t have a calendar.) He comes from a griot (jali) family and his father, grandfather and uncles were well known praise singers, history reciters and kora players, many generations back.